is gunpowder treason and plot. 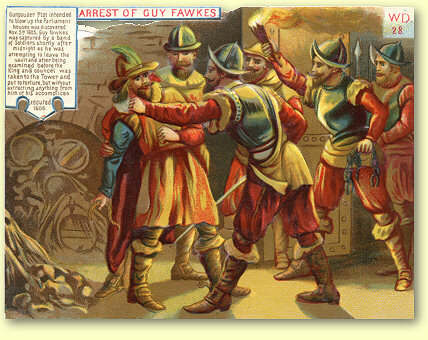 Guy Fawkes (1570-1606) conspired in the Gunpowder Plot to blow up King James the First and members of both Houses of Parliament. He was arrested in the cellar, which contained 36 barrels of gunpowder, below the House on November 5, 1605 interrogated, tortured and finally executed. 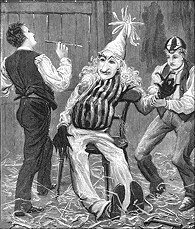 Guy Fawkes Day is still celebrated in Britain every year with bonfires, fireworks and the burning of the guy usually a grotesque effigy. 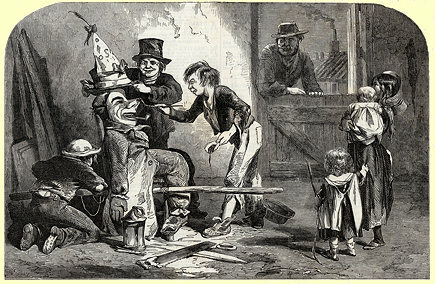 From the early 20th century November the Fifth has been referred to as Bonfire Night. Surely there never was a phoenix so incombustible as Guy Fawkes! 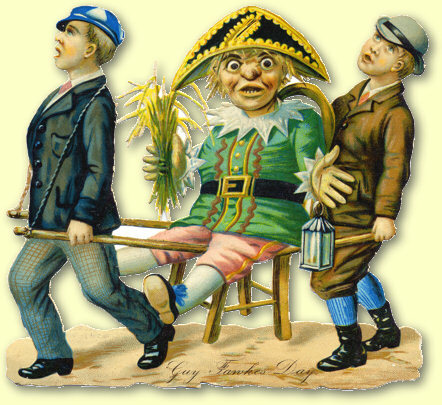 Regularly, once a year, he rises from his ashes, parades through the streets in triumphal procession, attends several public meetings, at all of which he takes the chair and then when the evening closes in, he warms his toes over a friendly fire and cracks his venerable sides with a number of good things and generally retires about ten o'clock, after having spent a very jolly evening, during which everything has gone off as pleasantly as possible.